What wheelchair should I get? 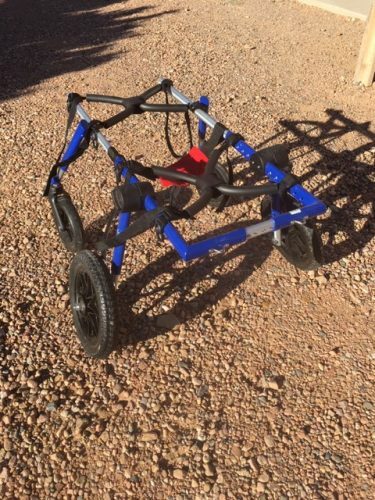 This wheel chair was put together but never used. 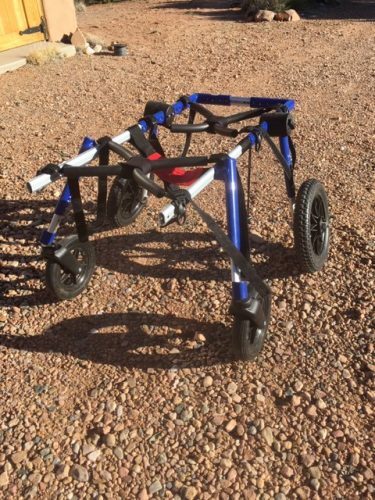 It is a blue large frame 9 inch strut, 12 inch foam wheel, wheel chair that comes with the front wheel attachment with large wheels so your dog can go over gravel and rocks etc. I bought this wheel chair for my large border collie/kelpie mix. 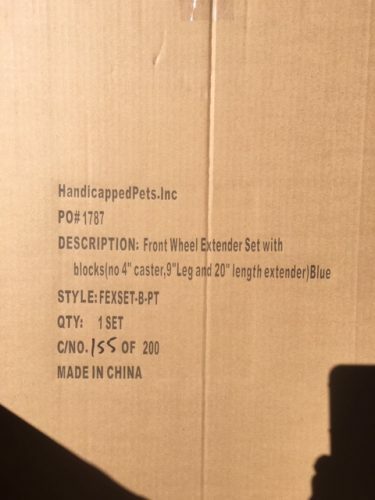 So new the wheel chair was $628 plus shipping. I am selling for $575 and free shipping within the Mainland of the US. I put all the parts inclusive nuts and bolts, and tools back in their box this morning. I did not know where all the parts went exactly within the box but all the parts are there. It is pretty easy to put it together. I will only sell large frame plus front attachment together. © 2019 Used Dog Wheelchairs. All Rights Reserved.